Grace Blades is a psychologist helping victims of violent trauma, those she mentally refers to as “The Haunted”. And she should know; as a small child, she watched her mother murder her father, and then more or less eviscerate herself before Grace’s own tiny eyes. So yes, she knows. But a client has come to her with a concern that is more than it appears to be, and it dovetails with a harrowing part of Grace’s past. In fact, she has reason now to believe she may be in danger, and it’s up to her to sort out the pieces and save her own life. This riveting DRC came to me free from Net Galley and Random House-Ballantine Publishers; thanks go to both. The book is for sale August 18. Fans of Kellerman’s have likely bonded with his Alex Delaware series. Although Delaware’s name is coyly inserted into the background text a time or two, this book isn’t about him, it’s a stand alone. It’s a strong story, and Kellerman’s initial career as a child psychologist makes Grace wholly believable. Someone that has gone through the multiple traumas her childhood has visited upon her would probably have trouble bonding with others, and indeed, Grace goes through life neither wanting nor having real friends her own age. She trusts one social worker, as well as the psychologist who together with his wife ultimately adopts her. And even with them, she has to force herself to smile, to show affection; these are never spontaneous behaviors, but ones learned by observation. Readers of my blog know that I generally don’t review books about wealthy people. I don’t relate to the rich, and it generally seems like a coward’s way out on the part of the author, because they can excuse their protagonist from the daily financial obstacles that most people have to deal with. But Grace has gone through so many hells by the time she reaches her wealth that this book is different; then too, Jonathan Kellerman is such a crazy-good writer that it would be hard to leave a galley of his by the wayside in any case. In addition, I appreciated the strength and intelligence of this protagonist. Although the sexual (and sexually violent) content makes the book unsuitable for younger teens, it’s still great to have a strong female character that doesn’t need to be saved by men. And thank you, thank you Mr. Kellerman for avoiding the nearly-obligatory kidnapping scene as part of the climax. I have often wondered why exactly so many sleuths, particularly female ones, end up bound, gagged, and in the trunk of a car at some point near the story’s crescendo, and I was heartily glad not to find it here. 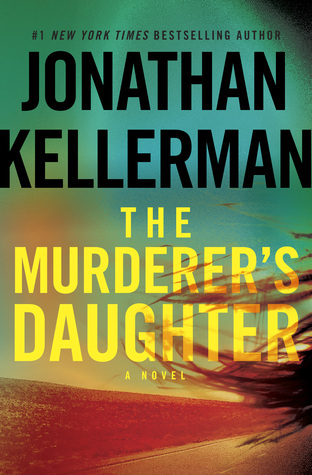 In short, fans of Kellerman’s will get their money’s worth and more, whereas those that have never read his work but love a good mystery can dive in here and also be deeply satisfied. Terrific work by one of the best mystery writers out there.